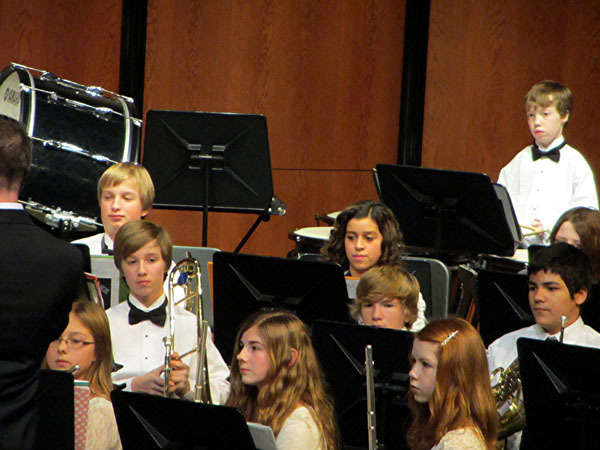 On Monday night, we headed to Prior Lake High School to watch the 8th grade Honor Band and 8th grade band concert. Avery plays the trombone and Luke does percussion. When they play, it's like music to our ears. Which I guess makes sense. 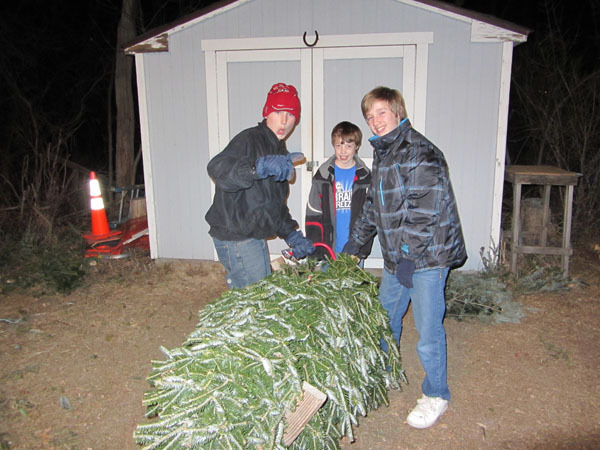 On Tuesday night, the boys worked at the Boy Scout Christmas Tree lot selling Christmas trees. Would you like a fresh cut with that? 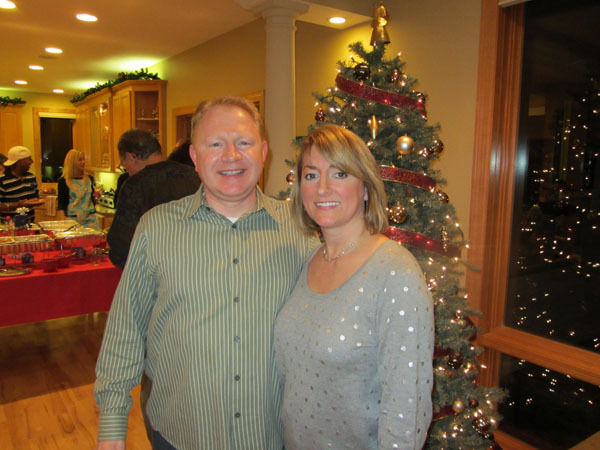 On Saturday night, we headed to the Nor-Tech Christmas Party. The Bolligs know how to throw a pretty fun shindig! 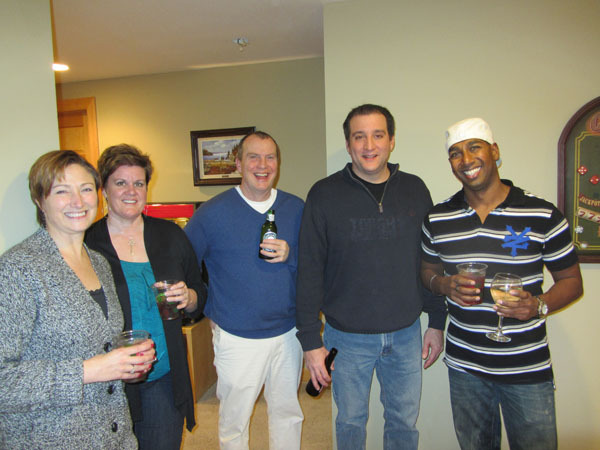 I always have fun when I hang out with my co-workers in a social situation. We really only do it once per year, so maybe they don't have as much fun as I do. 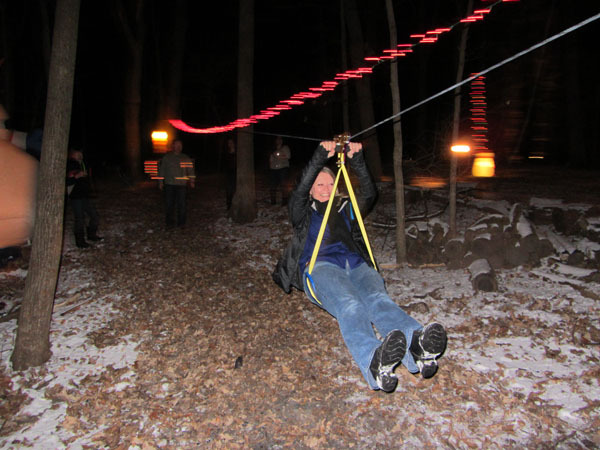 This year, Dr. Bollig built a huge zip line in his backyard for his kids. He's like the best dad in the whole world. I keep hoping he'll adopt me some day. We all had a bunch of fun zipping down the line. But no Christmas celebration would be complete without a walk down the large hanging bridge between a couple of big trees. Several more people wanted to climb up here for this picture, but Dr. Bollig waved them off. I guess he doesn't have much confidence in his construction skills. 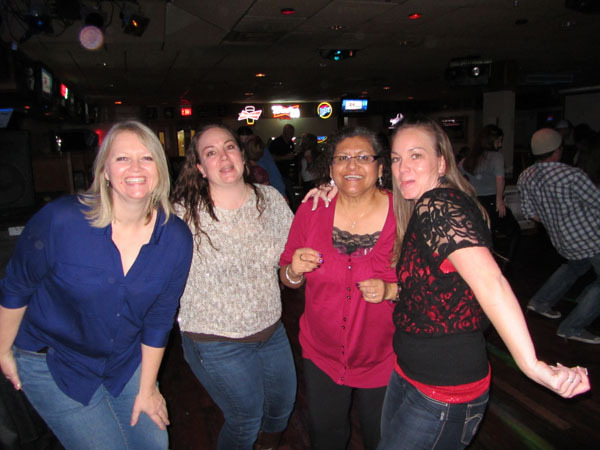 Before we went home, we stopped by Babe's in Lakeville to do a little bit of dancing. Not very many other men joined us, but for some reason....I didn't mind!